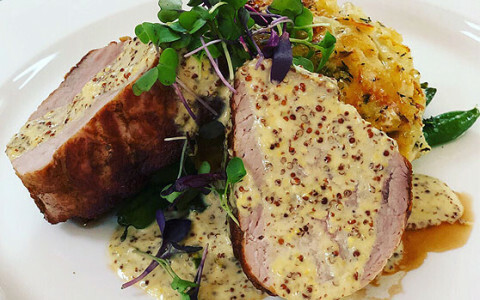 Exceptional culinary experiences await guests of Mission Point. 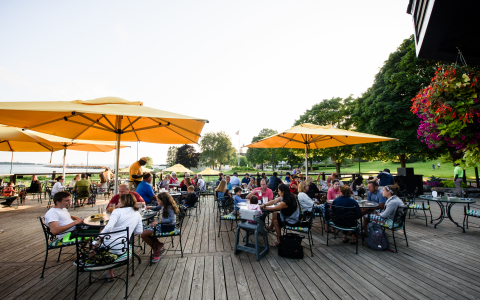 Mission Point features five unique restaurants and eateries, including Reserve Wine Bar our newest gathering spot overlooking Lake Huron and the Great Lawn. 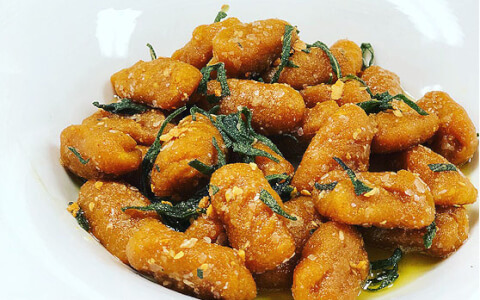 Traditional, house-made Italian pastas, sauces and fare are hallmarks of Chianti. Begin the evening with a cocktail in the Library then savor the lovingly prepared cuisine al fresco on the lake view porch accompanied by live piano entertainment. The Round Island Bar & Grill is a family-friendly culinary hub featuring all-day dining, signature drinks from our cocktail garden and indoor and outdoor seating. Round Island Bar & Grill is a true Mackinac Island experience. Made to order omelets are featured on the breakfast buffet daily; burgers, sandwiches, salads and more can be enjoyed throughout the day. Bistro on the Greens pairs great summer bistro dishes with extraordinary views. 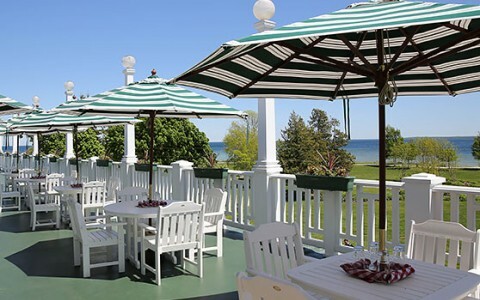 Overlooking the Greens of Mackinac, our picturesque 18-hole putting course, this popular spot features outdoor seating. We've added something truly special to our alfresco dining at Bistro on the Greens, a lounge area overlooking the straits complete with fire pits. 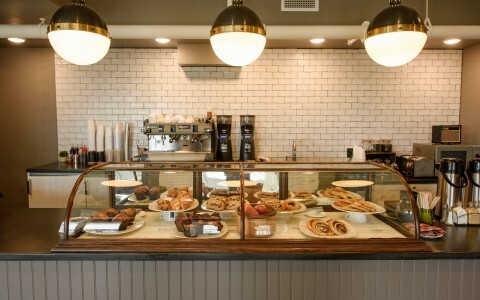 Enjoy Champagne, chocolate and sweet treats at Reserve, Wine Bar. 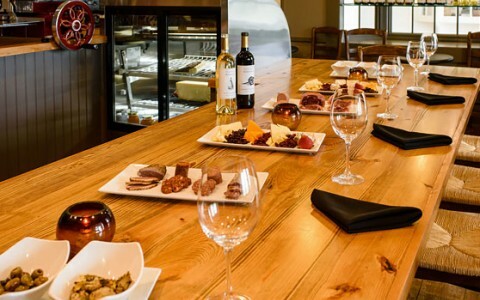 The newest addition to the Mission Point dining experience, Reserve features a wide selection of wines from the world's premier wine-growing regions, as well as thoughtfully curated charcuterie boards and artisan cheeses. 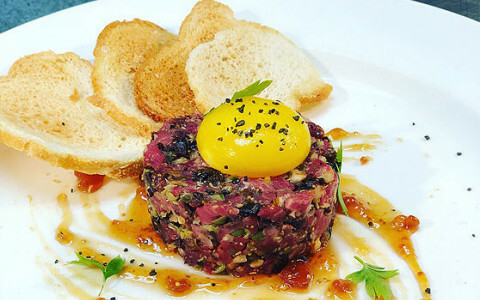 With five different eateries and restaurant outlets under his management, Executive Chef Matthew Nelson has a knack for multitasking. 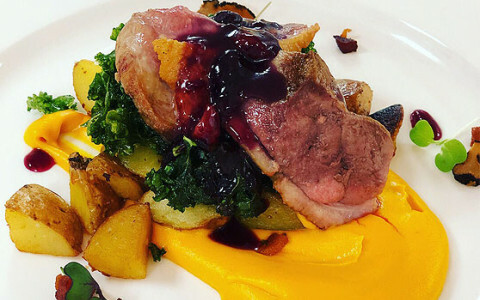 Crafting seasonal menus, developing flavorful recipes, costing out ingredients - all while mentoring the budding chefs under him is no easy task for a busy 6-month season. Chef Matthew’s culinary and personal background is deeply rooted in northern Michigan and the Straits of Mackinac area. 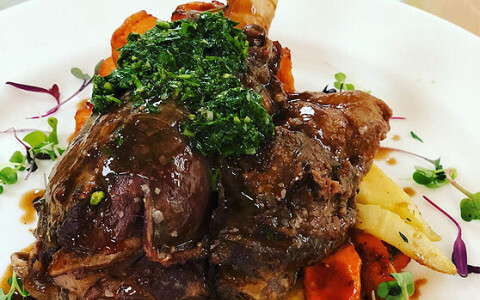 Originally from Cedarville, Michigan and a graduate of Les Cheneaux Culinary School in Hessel, his experience with local cuisine, vendors, flavors and techniques is extensive. Nelson has a variety of experience in both front and back of house service as well as farm-to-table ingredient cultivation and selection. 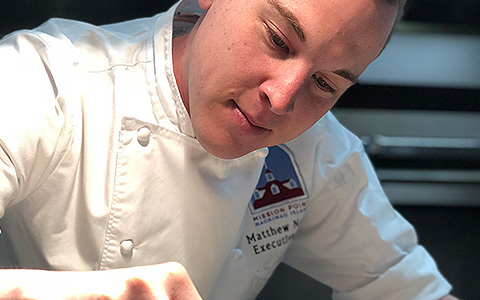 Chef Matthew joined the Mission Point team in 2016 as a Sous Chef overseeing Chianti and quickly worked his way through the ranks to be promoted to Chef de Cuisine in 2017. At the beginning of the 2018 season, he was named Executive Chef overseeing all culinary activities for the resort. In his spare time, Matthew enjoys spending time with his daughter, Emerson, as family is most important to him. He also enjoys spending time outdoors in all seasons whether it’s boating, golfing, biking or snowmobiling and loves to travel, trying local foods and flavors along the way.